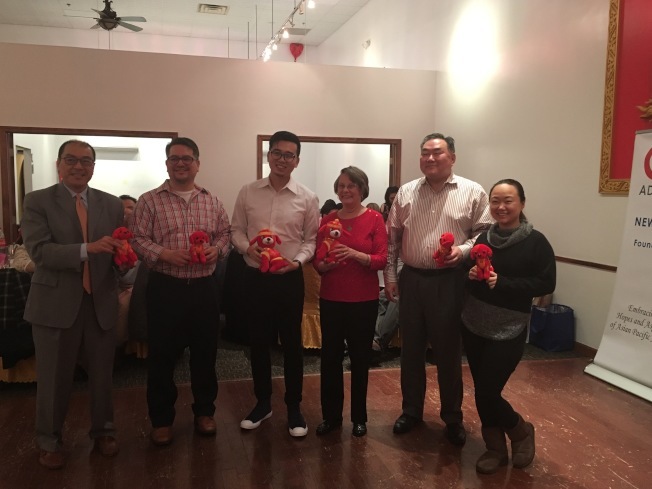 OCA-New Jersey Chapter recently held their Lunar New Year Dinner Celebration in Parsippany (Noodle Wong Restaurant). Close to 200 attendees helped to “Welcome” the Lunar New Year together. 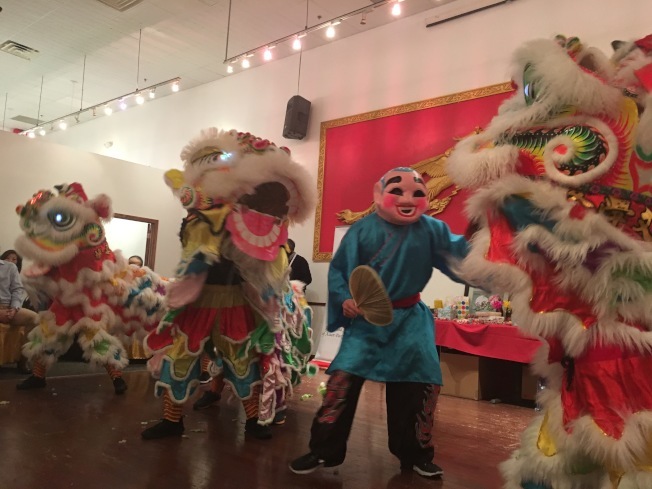 (The Asian American Dragon Lion Dance Troupe) performed the “Three Auspicious Lions” Dance. The performers are comprised of 2nd generation Asian Americans. The playful lions (performers) displayed various movements & unique skills. Guests jockeyed for positions to “FEED” the Lions “RED ENVELOPES”. 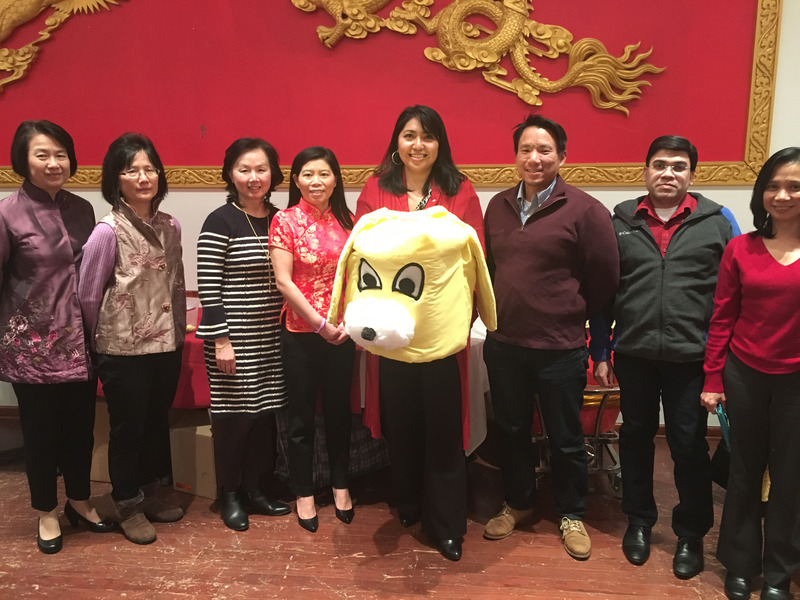 “Year of the Dog” First Day Issue Stamped Envelopes were given to chapter’s members & supporters. Adorable “Year of the Dog” Stuffed Animals were also given out to attendees who were born in the “Year of the Dog”. Chapter’s president, Laura Lee 余麗明, thanked their Corporate Sponsors like UPS & YU & Associates (于氏工程公司) for their support to the chapter. OCA-NJ continues to advocate for talent & leadership development for Asian youths, unity of the Asian communities for more power/strength & win political influence. Nice turnout on Saturday, January 27, 2018 @ The Office of the Girl Scouts of Northern NJ in Paramus! The first installment of OCA-NJ’s Film Festival ~ “Canton Army in the High Sierras”. More installments to come!! !